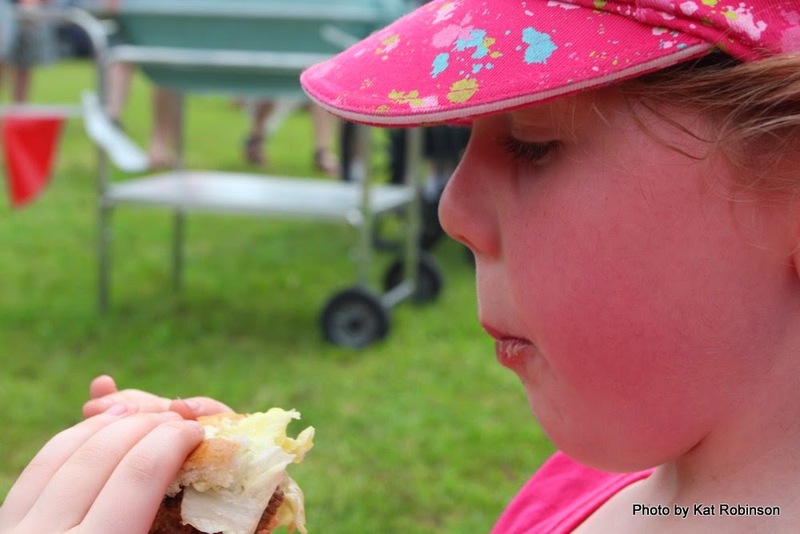 Bigger, Better, Best: Burger Battle at Riverfest. Planning to head out for Arkansas’s largest music festival? 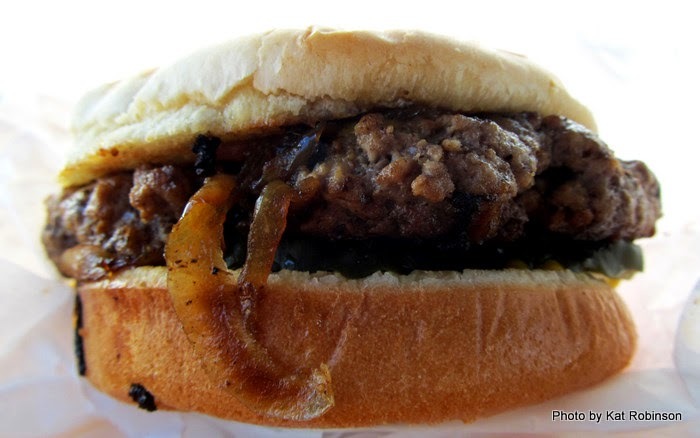 There’s more to enjoy this year, including a head-to-head challenge between some of the state’s best burger makers. 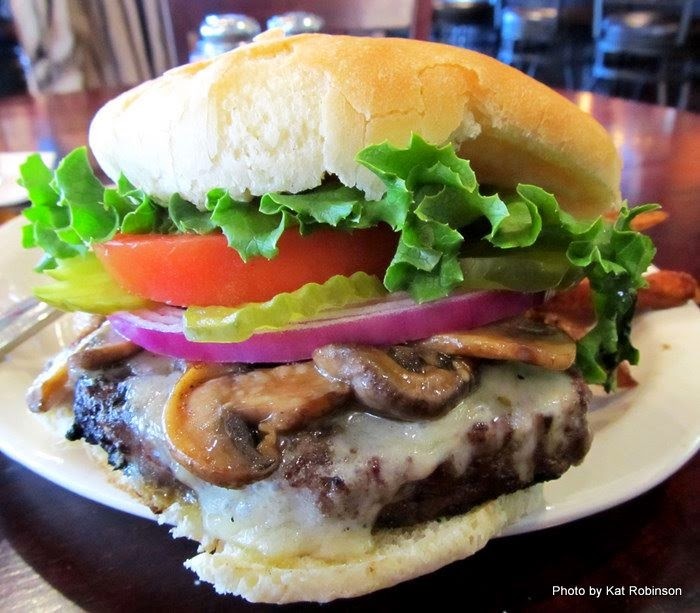 Kat Robinson shares the skinny on the Amstel Light Best Burger in Arkansas Competition. The winning burgers on the grill. UPDATE: The winner of this year's contest is Little Rock's Big Orange. Utilizing an entirely Arkansas-sourced burger, the burger maker managed to pull out a win against some stiff competition. Congratulations! 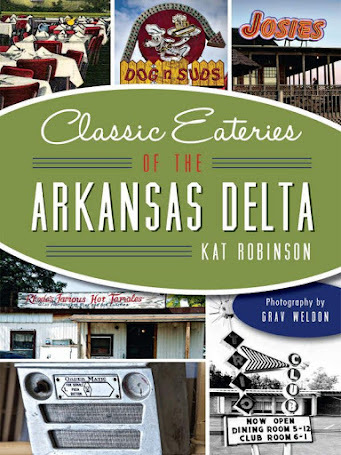 I have often told individuals and audiences… I don’t know everything about Arkansas food yet. 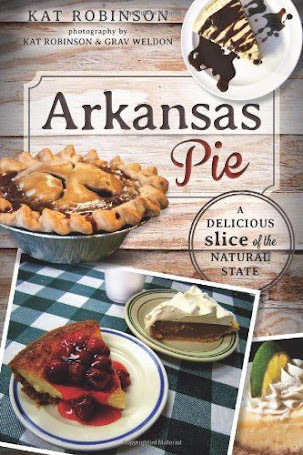 I can’t quite claim to have tried every pie, every breakfast, every sandwich in the state. But when it comes to burgers, I believe I’m the closest thing anyone has to an expert. My claims are substantial; I wrote about burgers at least once a week over a couple year span on Eat Arkansas: The Blog for Food Lovers with the Arkansas Times, I was the southern burger correspondent for Serious Eats and I managed to knock out this piece on the 50 best burgers I tried just in the year 2011. Fat, smashed, grilled, charbroiled, baked (yes, baked! 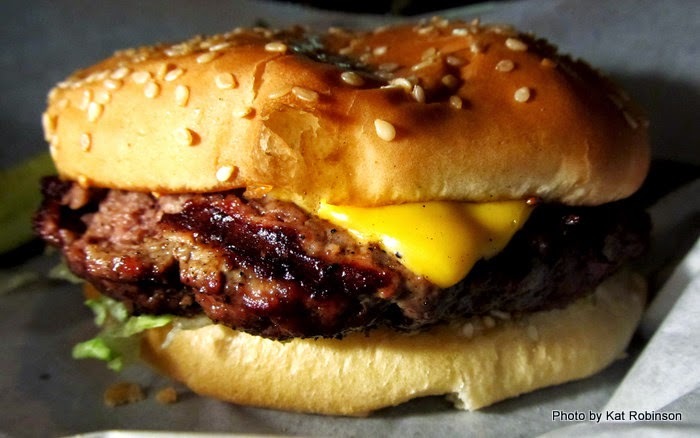 ), buttered, slathered in mustard, slapped between grilled cheese sandwiches or even deep fried, there are few burgers I’ve met that I haven’t liked and enjoyed and shared with you. Johnny Burger from Johnny B's. This is part of the reason I’m excited about Riverfest. 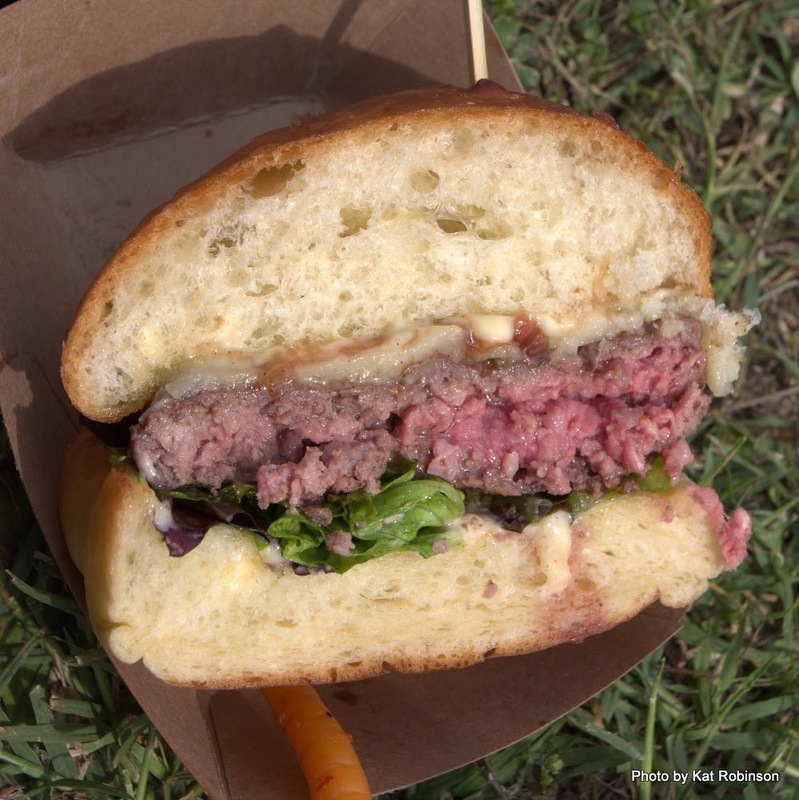 This year, Amstel Light is offering up a Best Burger in Arkansas competition on Saturday, May 24th on the grounds of Heifer International. 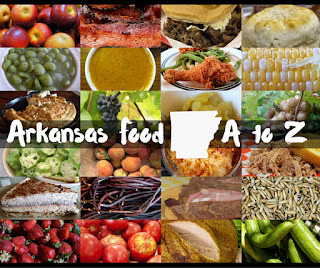 It’s in the Arkansas Democrat Gazette Family Free Zone – which is outside the armband area of the festival – and admission and tasting is just $5. Arkansas Burger from The Hive at 21c. Now, you may be wondering why I’m so concerned about this. Has to do with the title being offered. See, the Arkansas Democrat Gazette is poised to name the winner of this competition as having “Arkansas’s Best Burger.” I might have something to say about that. The Humburger at Hamburger Station. See, I’ve been everywhere in the state looking for good burgers, and some of the best just aren’t on this list. 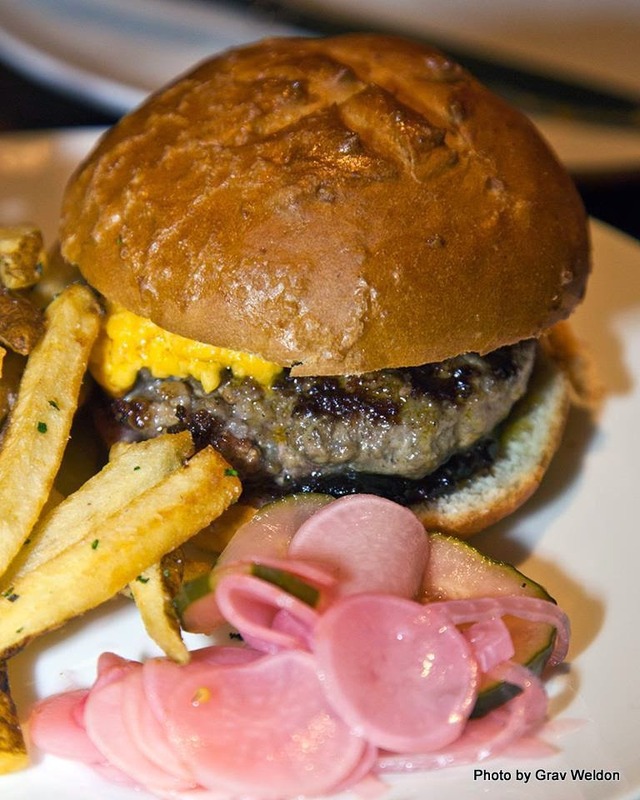 Such as Matt McClure’s Arkansas Burger from The Hive at 21c. Matt’s amazing blend of briskety beef, pimento cheese, homemade pickles and sweet pepper relish on a housemade bun could be the best gourmet burger in the state – and it’s completely unheralded, thanks to all the other amazing things this James Beard-award nominated chef is delivering at his museum-housed restaurant. Or the humble Humburger, the mustard-and-onion combined greasebomb served up over the ages at the venerable yet tiny Hamburger Station along the railroad tracks in downtown Paragould. 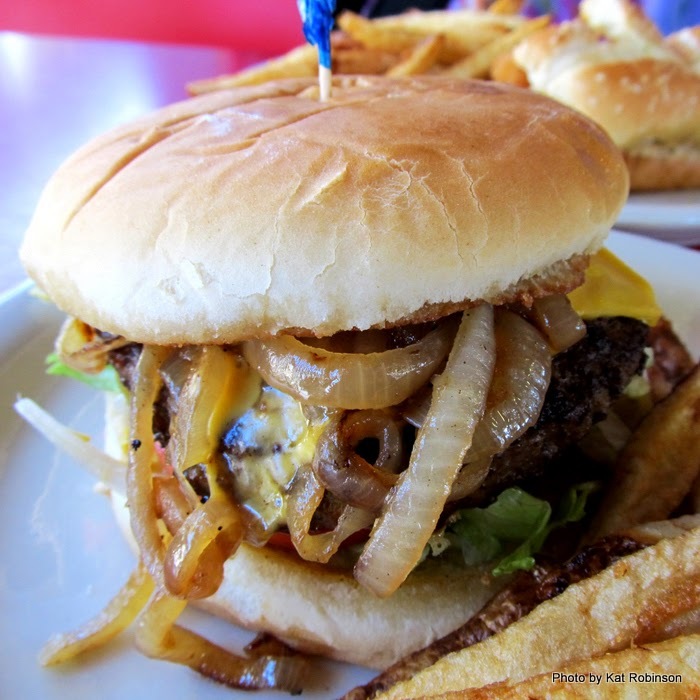 Or the deliciously spiced and served burger at the Old Tyme Burger Shop down in Texarkana… the classic smashy at Johnny B’s in El Dorado… the oversized monstrosity at JJ’s Café in Lake Village. The Barnbuster at The Back Forty. Could there be one that reaches the flame-broiled pinnacle of the sesame-seed studded Barnburner offered at The Back Forty in Mountain Home? Or one that comes close to the classic revived and shared at Feltner Brothers in Fayetteville? Could one even touch on the magnificence of Ed Walker’s famous Giant Cheeseburger, that five pounds of well-seasoned meat served family-style on a housemade bun with all those condiments on the side? The Hubcap Burger at Cotham's Mercantile. 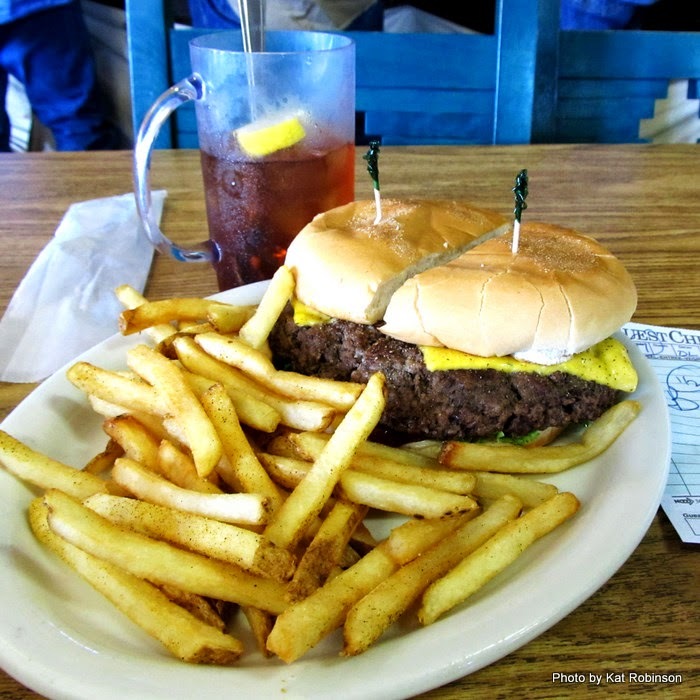 Could any entrant come close to the legendary Hubcap Burger so proudly presented to diners at Cotham’s Mercantile in Scott? 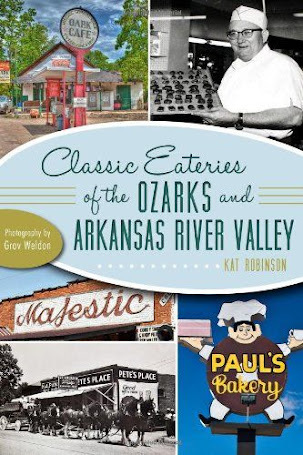 So many burgers -- hundreds of worthy possibilities all over The Natural State -- is it any wonder that there's been no definitive crown placed upon the brow of a master burgerslinger in Arkansas? The Maytag Blue Cheese Burger at Big Orange. Big Orange. Yes, the quickly spreading Yellow Rockets Concept burger joint is putting its reputation up against others. I’m hoping for a Maytag Blue Burger from the place; I love the Maytag Blue cheese and the sweet pepper jelly, the butter leaf lettuce… dang, I am now hungry. Considering the dozen or so varieties available, who knows what will come from this famed eatery. Café 42. You know, I’ve never had the burger at this restaurant that sits below the Clinton Presidential Library. I always have a sandwich or soup or the blue cheese cheesecake. So I’ll be excited to see what comes out of this pretty little place. 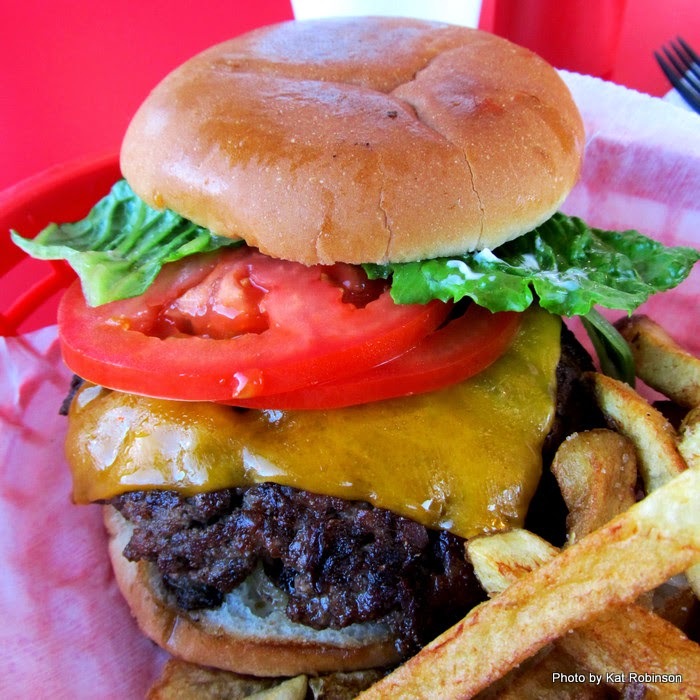 A cheeseburger at David's Burgers. David’s Burgers. I’ve been glad to see the chain expand from the original CJ’s Butcher Boy Burgers. Okay, I know, I know – that’s family, not a franchise! But the idea is the same. 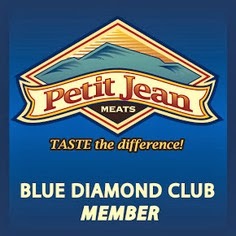 A competitor coming into the fray who specializes in JUST hamburgers and fries may have a great edge over other entrants. My suggestion: pick up a few extra napkins and grab your burger tight. It might get a little messy. EJ’s Eats and Drinks. This late competitor is a Little Rock standard, and I expect great things. Those third-of-a-pound ovoids smashed on the grill with that split top bun are so good, you can’t ever really find a table right off the bat at lunchtime. If EJ’s manages to sneak in some of its housemade barbecue spiced potato chips to the judges, they’ll take the prize. Heifer Café. Wait, Heifer International has a café? Of course they do. Café@Heifer is a splendid River Market secret, with Grab & Go lunches and pastries and a decent delicious lunch selection that includes pizza, salads, sandwiches and a couple of burgers. The dark horse in this competition, it could be what puts the eatery on the map. I’m eager to see how they do. Stratton’s Market. Let’s be honest – this is really Dugan’s Pub competing under the name of their attached grocery. And that’s awesome. 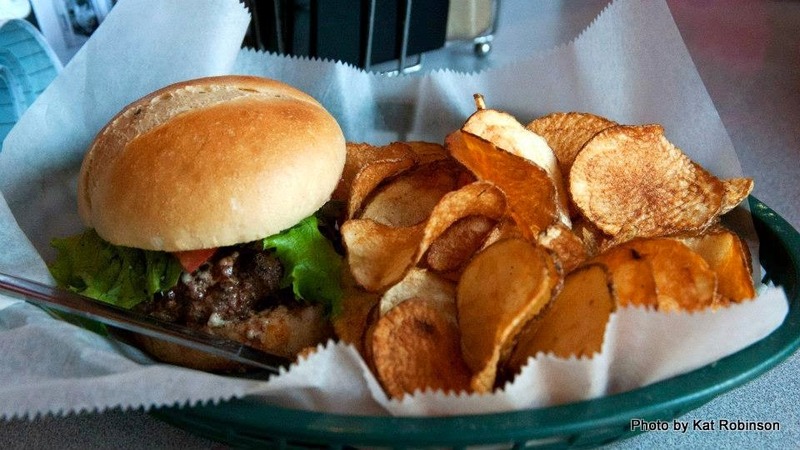 Dugan’s has been making pretty dang good burgers since before they were Dugan’s. What? Oh, yeah, before Dugan’s those burgers were coming out of Markham Street Pub. 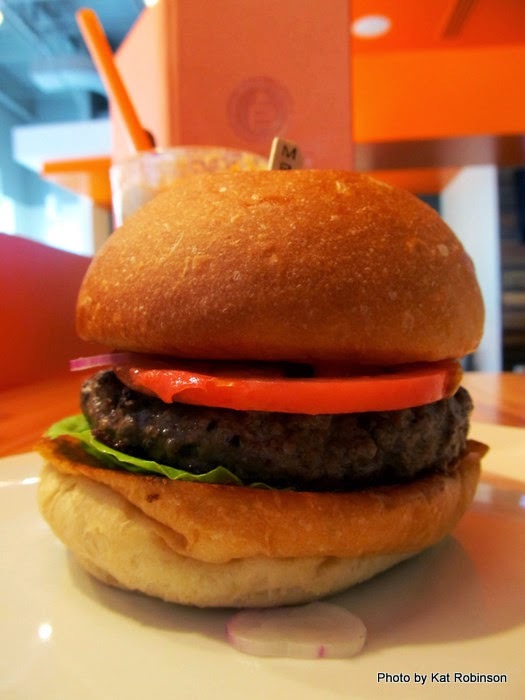 How about one of those savory-saucy-soak the bun burgers? There may be more competitors to come… and that’d be great. Sure, there’s a $500 on the line – but it’s that title that has me intrigued. Grill on, guys. If you want to check this competition out, it’ll be held between 2:30 and 4:30 over there at the Arkansas Democrat Gazette Family Free Zone. Come hungry. Oh, and check out this site for all this information you’ll need to optimize your Riverfest experience. And to see more photos of burgers, click here. Bring Back the Minute Man. Soul Shine: David Family Kitchen in Little Rock. The Garden Sandwich is an Iconic Arkansas Dish.